It seems entirely fitting (even if actually coincidental) that I share this homemade taco seasoning after the poll and giveaway I posted last week asking what meals you enjoy enough to have weekly. No formal analysis of the results was necessary to determine that the overwhelming winner was tacos. Tacos seem by far the most popular item on many readers’ weekly menus, and this comes as no surprise. Taco night is fun, easy, quick and healthy (well, depending on how you make them.) 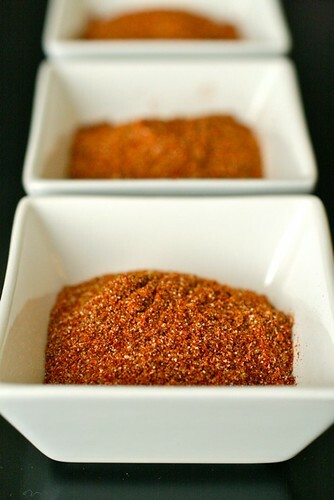 And now it can be even healthier with homemade taco seasoning. You can throw this together in minutes using ingredients you probably already have in the pantry. The result has the same flavor as the stuff from the packet, but without all that nasty sodium. No need to buy the packets ever again! 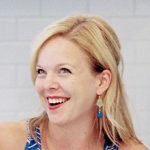 It was so fun reading all the responses of what foods people like enough to eat weekly. As I said, tacos were by far the winner, followed closely by pizza. Pasta was also a popular choice. All favorite foods of mine, and I see why they make weekly menus! I could definitely make mexican food almost daily.” Well said and I couldn’t agree more. Congrats, Jillian! 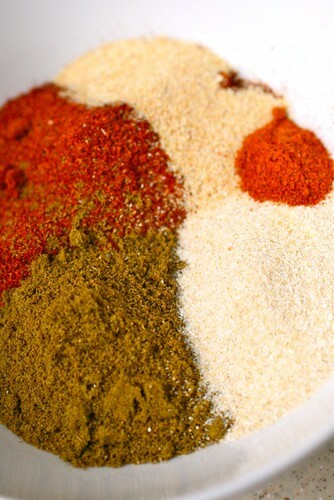 Combine all ingredients in a bowl, and mix well to blend. Store in an airtight container until ready to use.